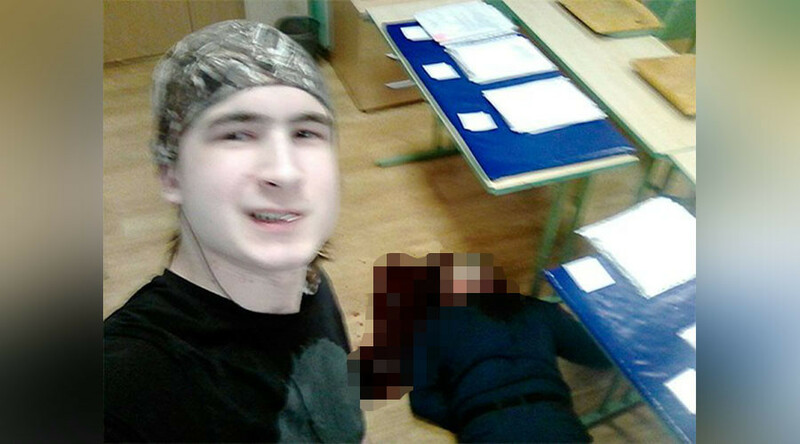 Moscow police are investigating a potential murder, after an 18-year-old vocational college student reportedly knifed his teacher during a lecture break, put the photos up on social media, and then slit his own throat. The student, Andrey Emeliannikov, and his health & safety class teacher, Sergey Danilov, had a personal falling out, according to police sources speaking to TASS, though it is unclear if the throat-slitting was premeditated or impulsive. 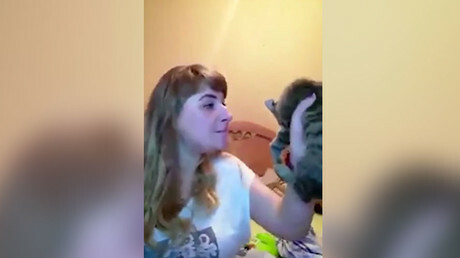 According to one report, Emeliannikov had skipped lectures for a fortnight before, being confronted over his truancy by Danilov.TASS added that a video, which could serve as evidence in the investigation has been found on the teenager's mobile phone. Emeliannikov’s photos included one of him holding a bloodied knife over the prone body of the 44-year-old lecturer, as blood pours out of his throat, with a satisfied grin on the attacker’s face. They were uploaded to his page on Russian social network VK, which has since been blocked. According to Moskovsky Komsomolets newspaper, the two bodies were found by another lecturer, alongside a knife and a chainsaw, though it remains to be established if the latter featured in the suspected murder-suicide.Danilov leaves behind a wife and three children. Students and colleagues have painted contrasting pictures of the two men. Danilov has been described as a kind and responsive teacher, but also a disciplinarian with a military background, who would get disruptive students to do push-ups, but rarely raised his voice or personally insulted his pupils. His colleague Anna Makarova told RIA news agency the victim was highly regarded among the staff, who appreciated his sense of humor and ability to bond with students. Since September, Danilov had served as the head of Emeliannikov’s class, and was responsible for his overall academic performance. Emeliannikov was raised in a single-parent household and, according to his mother, spent his free time playing video games such as Battlefield on his PC, listening to heavy metal music, or translating foreign-language comic books into Russian. A professor at the vocational school told Gazeta.ru news website that, “intellectually, he was always a little ahead of the others,” but several fellow students noted that he was also occasionally socially withdrawn, though by no means a loner. None of the adults and teenagers interviewed by Russian media noticed any overt signs of mental illness or planned violence from the suspected knife attacker. One of the students described Emeliannikov as a ”well-read, self-possessed and kind person” when speaking to the news outlet RBC.